Thank you to bbluv for the products! All thoughts and opinions are my own. Who doesn’t like products that make your life a little easier, especially while traveling? bbluv is passionate about trends and technology. All of their team is made up of parents themselves, so they build their products based on their own parenting experiences from the ages of 0 - 4. I don't know about you, but I can appreciate when a product is made based on someones experience with their own child. "bbluv's goal is to help you worry less about the 'what' and the 'how' and focus on what really matters: playing and bonding with your little ones." 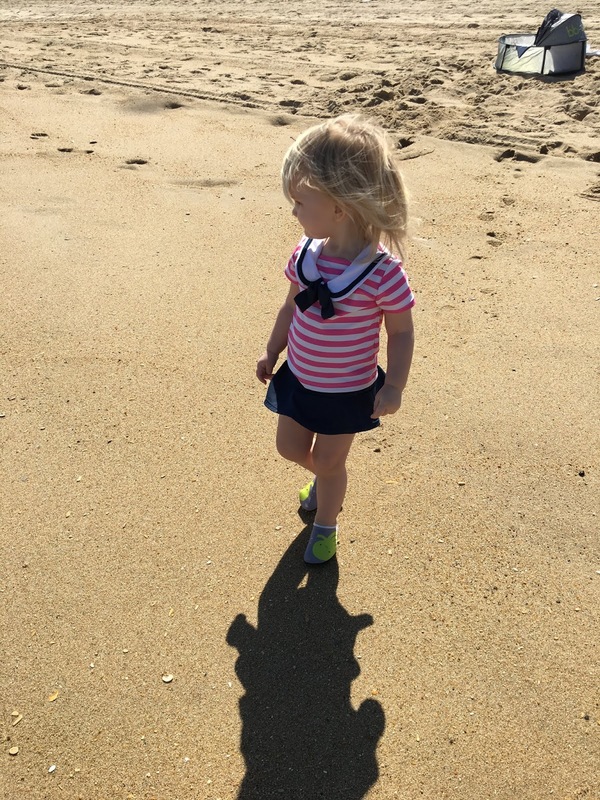 bbluv has several products that will make your beach days a little easier and your littles a little more stylish! If you are anything like me, trying to get a beach tent back into its original form is nearly impossible. 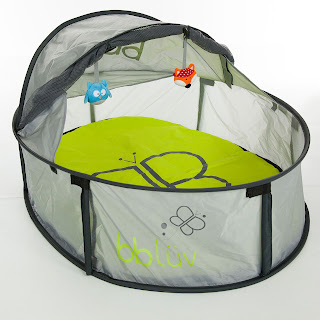 There is a removable cushioned mat that you place at the bottom of the tent. My little love had no problem doing a little sun bathing while we were on the beach. I was so impressed with how easy it was to set up and refold the Nido Mini back into its little storage bag. It took three little twists and vwahla, back into the bag it went! The material that the Nido Mini is made out of makes it easy to remove any sand before putting it back into storage. The Nido Mini is so versatile and can truly can be used anywhere, indoors or outdoors. 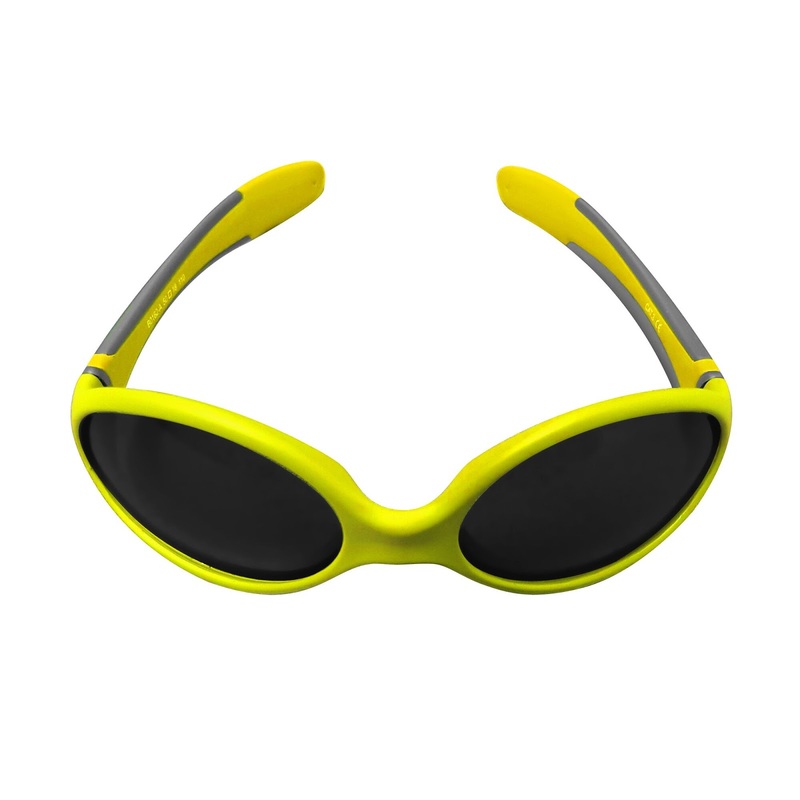 The Solar sunglasses are made to fit babies 3+ months so both of my girls could wear them. They have a nice amount of stretch and flexibility! My oldest loved her Shooz! She walked comfortably on the sand and they gripped her feet nicely. The soles of the water shoes are thin, but plenty durable. 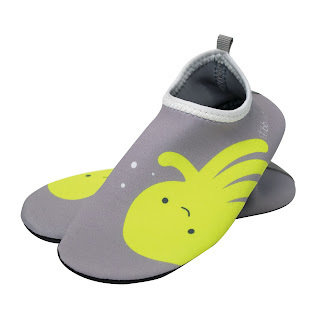 I know my little loved because she is not a fan of wearing shoes, but she kept these on the whole time! Special thanks to bbluv group for allowing us to share about their wonderful products. Be sure to look for them in our Easter and Spring Product Guide! Visit the bbluv to find the products listed above, as well as, many more! bbuv has products for feeding, nursery, bath, play, outdoors and on-the-go!